Nestled in the Sierra foothills at an elevation of 500', Clos du Lac has proven to be an ideal location for growing several premium grape varietals. In a community of 200 acres, 30 acres have been set aside for vineyards planted with Cabernet Franc, Petite Sirah, Mourvedre, and Petit Verdot. Also, several acres of Grenache Noir and a smaller amount of Counoise have been planted on one of the private estates within the community. 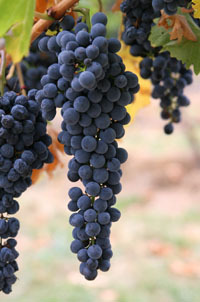 Both the common areas and the homeowner vines are tended by a professional vineyard management company under the direction of the Homeowner's Association. Once grapes are planted in front of homes, the only obligation is following watering instructions and a small monthly addition to dues. 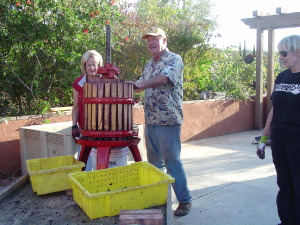 Proceeds from the grapes that are sold to local wineries come back to the Association to keep dues low. 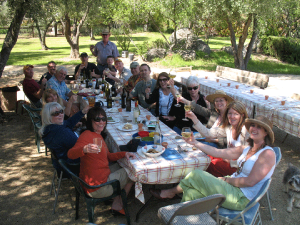 Clos du Lac is a tight-knit vineyard community, with homeowners often joining in on community work days, holiday celebrations and annual fundraising events like the Fall Crush Party.